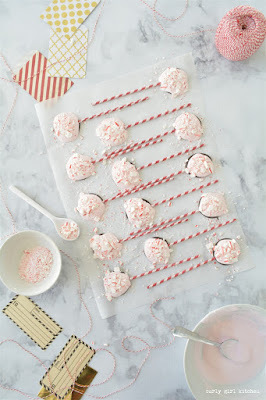 How beautiful are these little peppermint bark pops? 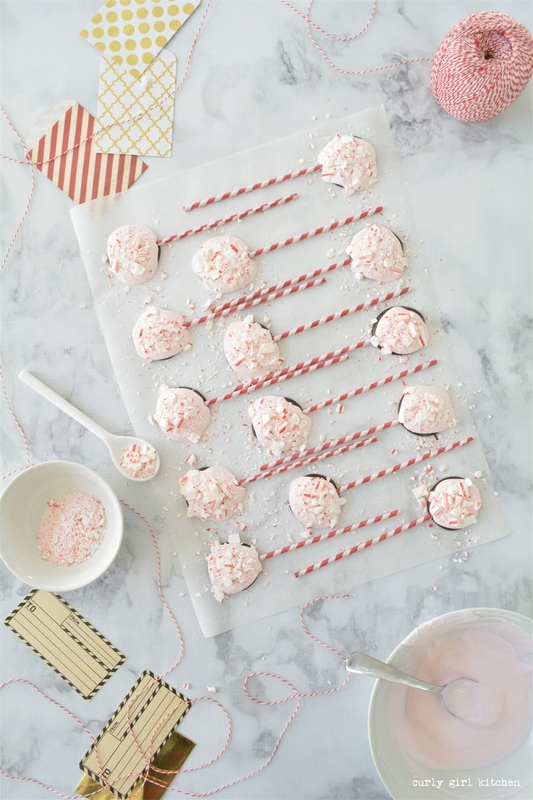 Shaped like an old-fashioned sucker, you might even call them Christmas lollypops. As time (and baby napping) allows, I've been baking and freezing little treats for Christmas. We have an assortment of cookies that I've packaged up into pretty polka-dot boxes for a few neighbors, including shortbread cutout cookies with almond-flavored royal icing (the shortbread being my favorite), spice bars with cream cheese frosting, salted caramel-stuffed chocolate chip cookies, and brown butter ginger molasses raisin cookies.